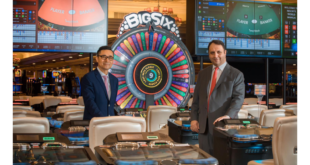 Electronic Roulette manufactured by luxury electronic table gaming provider Interblock is set to make its debut at the grand re-opening of Dragonara Casino in Malta. The Dragonara Casino enters its 53rd year of operation on July 15, 2016 after undertaking a large-scale refurbishment and product up-grading project. Interblock will supply its Organic Roulette- an advanced multi-player platform, offering flexibility with multi-language support, multi-game capability, time-of-day denomination scheduling, and player selectable denominations. Dragonara’s customized installation will be composed of both Automated and Dealer Assisted Roulette platforms, giving players the opportunity to play two games with different outcomes simultaneously. Standalone play stations will be located in remote areas of the casino floor and connected to Interblock’s automated and dealer assist generators, showcasing the supplier’s modularity and ease of connectivity. The Dragonara Casino opened its doors on July 15, 1964 in what was considered as one of the first major projects to establish Malta as a tourist destination. Dragonara Gaming Limited, a fully-owned Maltese company, took over the helm of the casino in June 2010 and today hosts over 300,000 patrons a year.